FishingNosara Master engineer Captain Jack Weinmann is in town for a combination work / pleasure trip as he oversees the maintainance of the boats, safari carts, and trucks that keep our operation running smoothly. However its not all wrenches and grease this week as Captain Jack joined Craig Sutton and Ms. Paula for a productive day on the Wanderer. 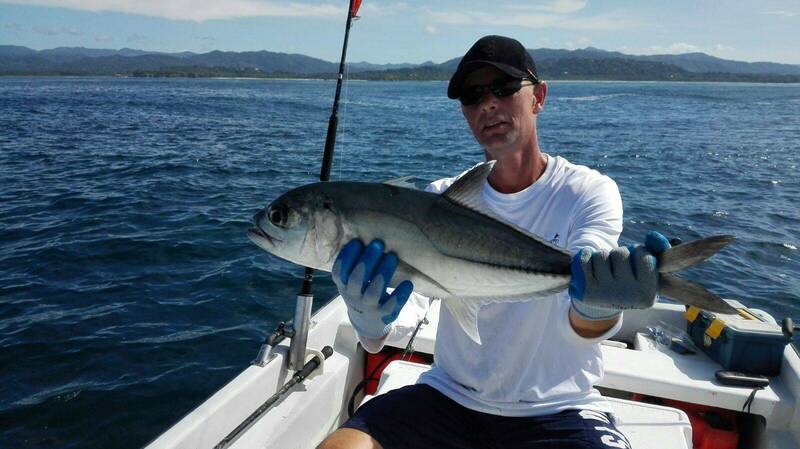 This Spanish Mackeral is a rare delicacy and the boys will no doubt be munching on this all week long. Jack and Craig also added two lovely Ponpanos for use as ceviche. What about thick-filet sandwich meat? Jack’s got that covered as well! 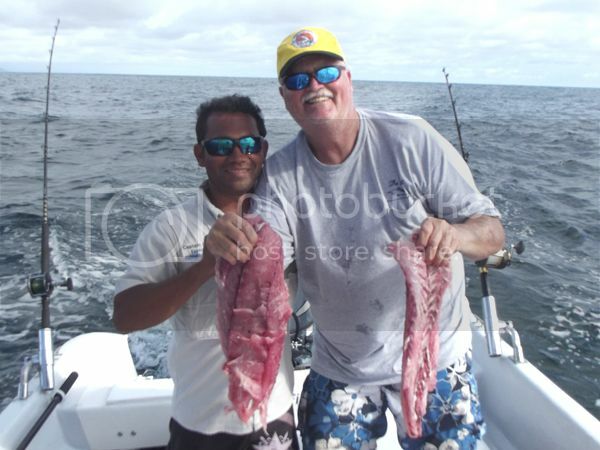 This small but meaty Grouper should yield some tasty filets that will make this group very popular around the Nosara Paradise Rentals campus. 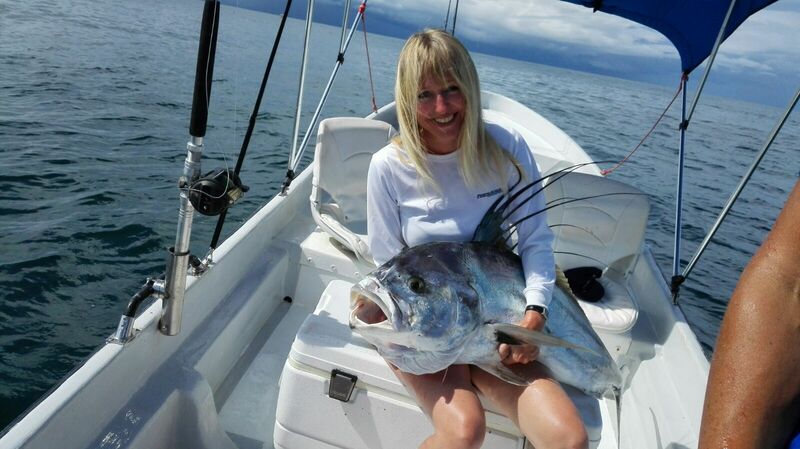 Excellent catches by FishingNosara’s #1 tech, Captain Jack! 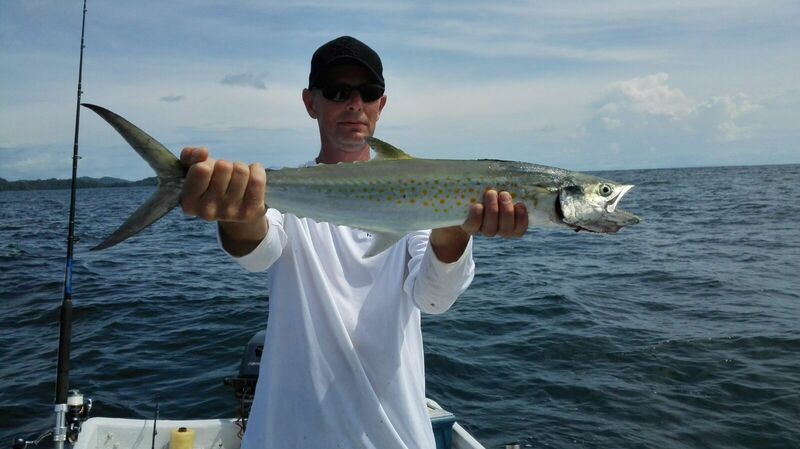 An unusually large Spanish Mackerel was caught on the Explorer on April 6. Charles Ahearn knocked this out on a flyrod, which is a new tactic for this area. 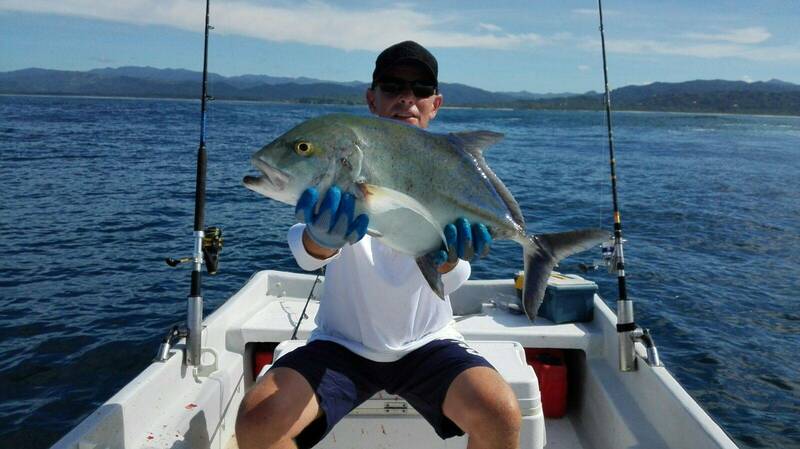 Captain David is always game to learn something new, so he pulled back the outriggers and let loose the flies! This fella probably weighs over 25 lbs. which makes it one of the beefier macarelas of the season. 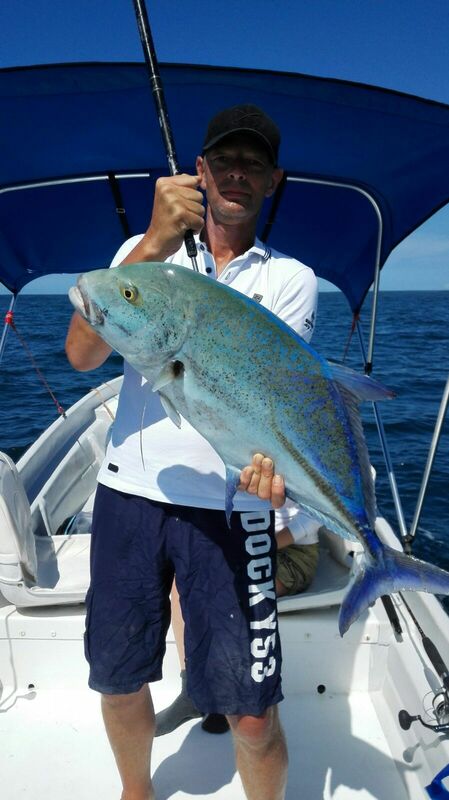 Nice work on this tasty fish which they also backed up with a few Groupers. 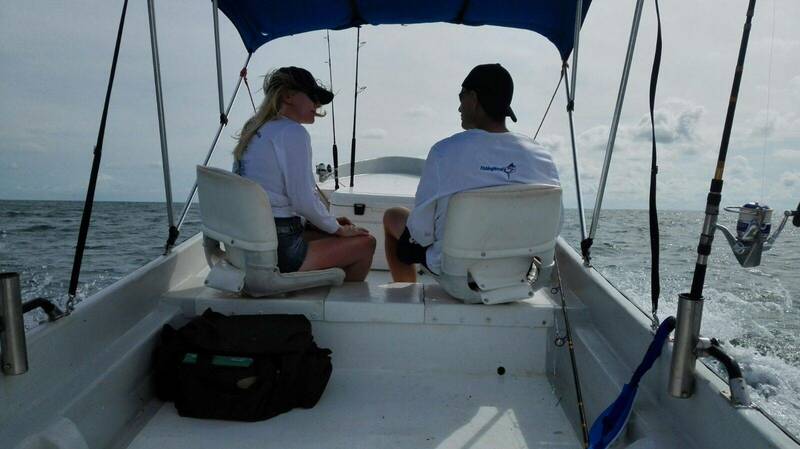 Captain David and the Explorer got an early start today with client John Wellborn fishing at first light. 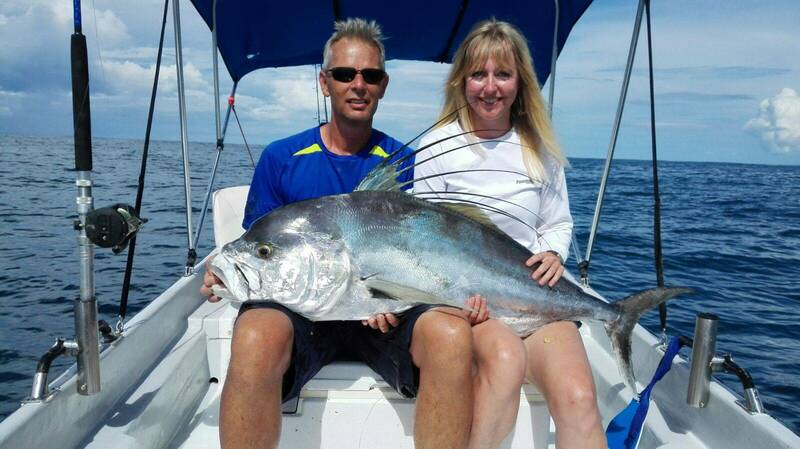 They had lines in the water at 6:30am and got a few early-rising Bonita to use for bait. 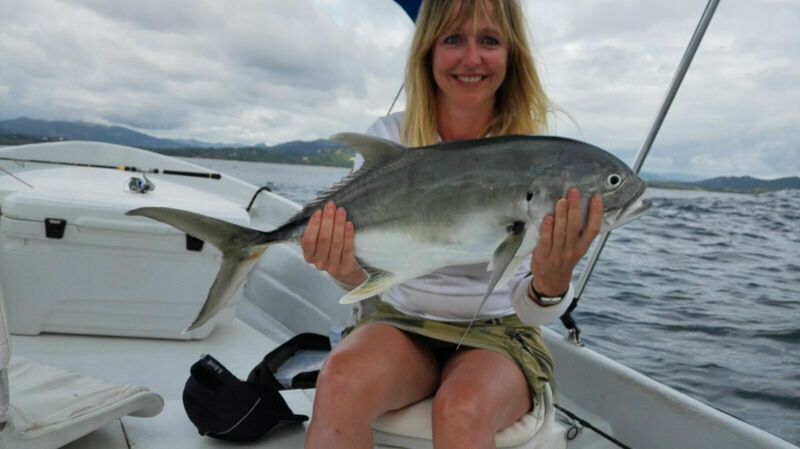 The first good eatin’ fish was a White tuna weighing about 15lbs. 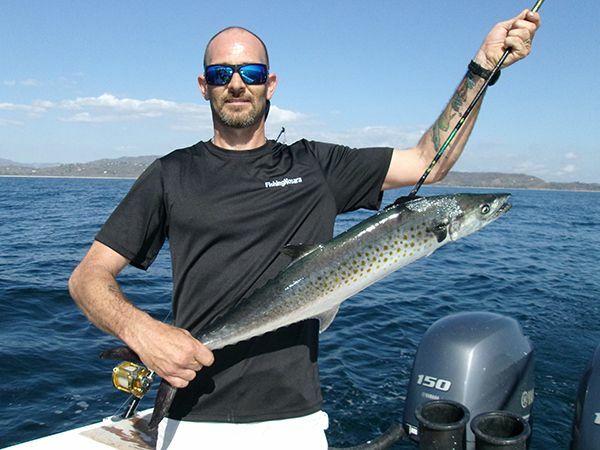 After a few mystery nibbles, the Penn spinning rod screamed off its report and Mr. Wellborn roped in a 40lbs.+ Macarella (Spanish Mackerel in gringo). 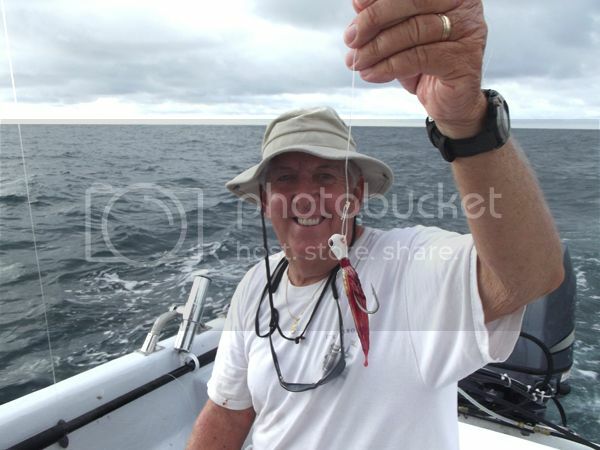 The early bird may get the worm, but on the Explorer the early fish get the hook! 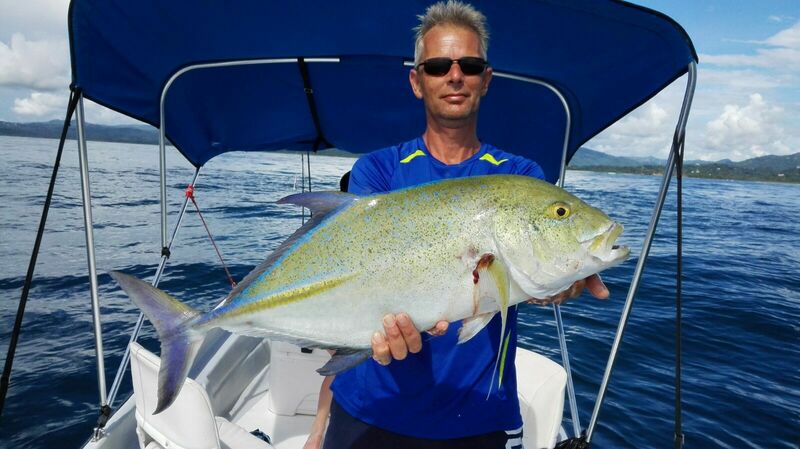 Chuck Darner and Bill Wilderotter finished their week of excellent fishing with Captain David and Mate Pipio on the Explorer and they dialed up a fish feast for the ages. 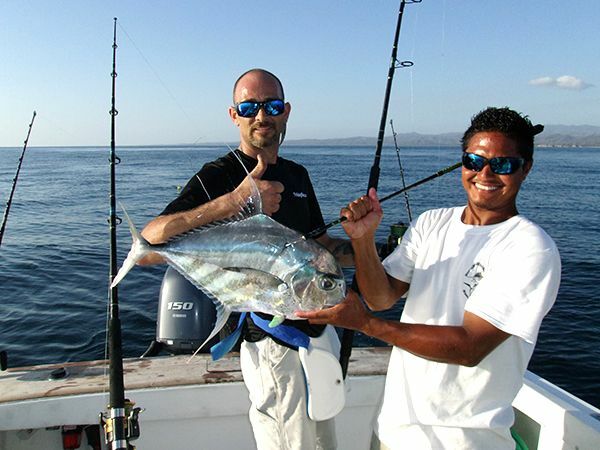 David kept the barroom brawler on the fish while Pipio broke in the new forward casting platform…the result was a cornucopia of marine eatin’. They started at 9am. 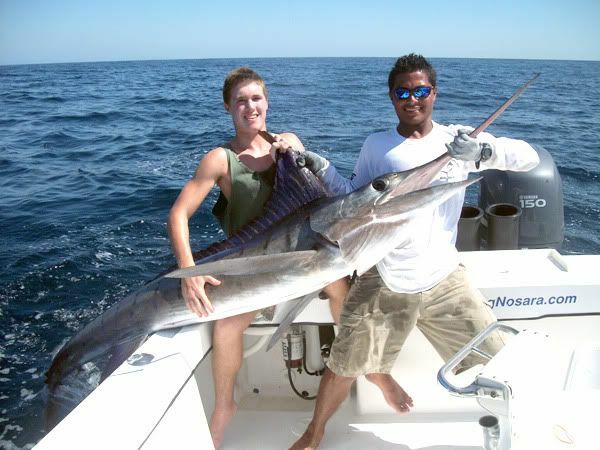 The first fish was a 35 lbs. 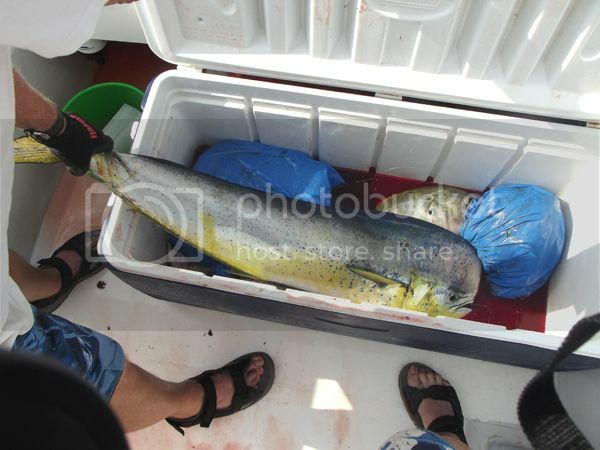 Dorado, then they backed that up with a 25 lbs. 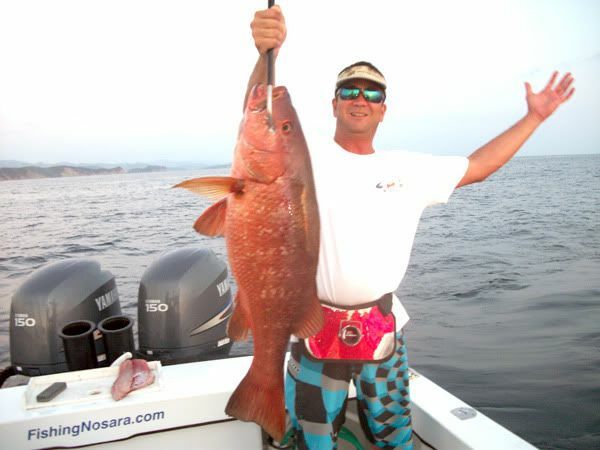 Cubera Snapper, a 25 lbs. 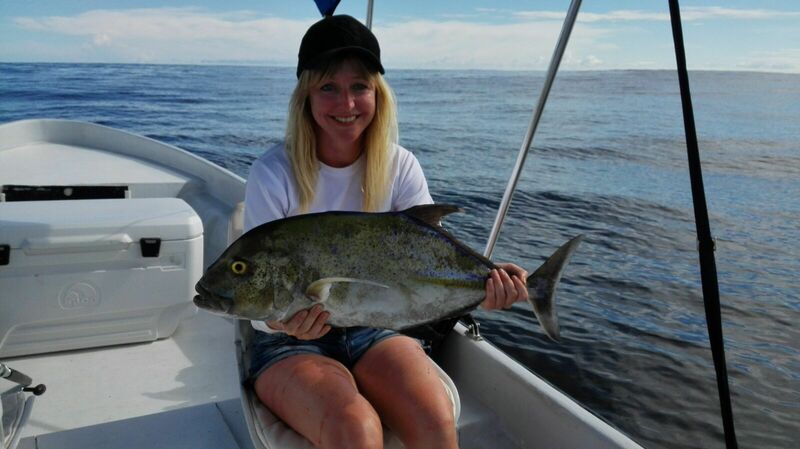 Amberjack, and a nice White Tuna. 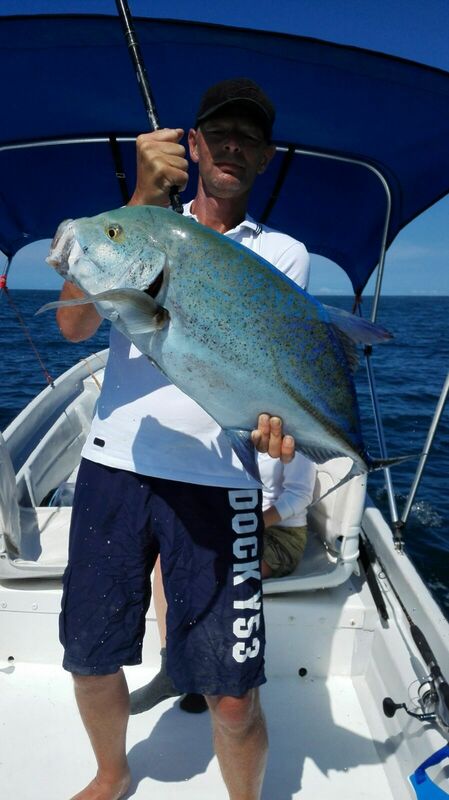 The Jacksonville anglers finished off their trip by adding a Macarela, two Jack Crevalles, and four beefy Bonitas. 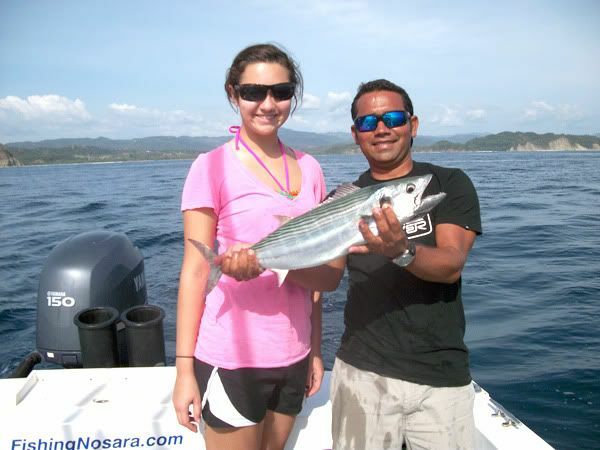 Excellent end to an amazing week in Nosara…these guys are on top! 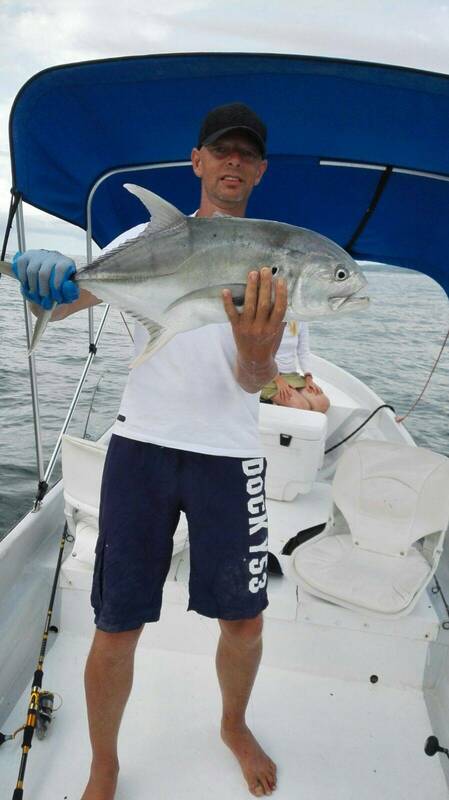 Patrick and his group booked the Wanderer for a sunset fishing trip and caught this awesome Cuberra, an Amberjack, a 10lbs. White tuna and macarela. Great action for such a quick trip. 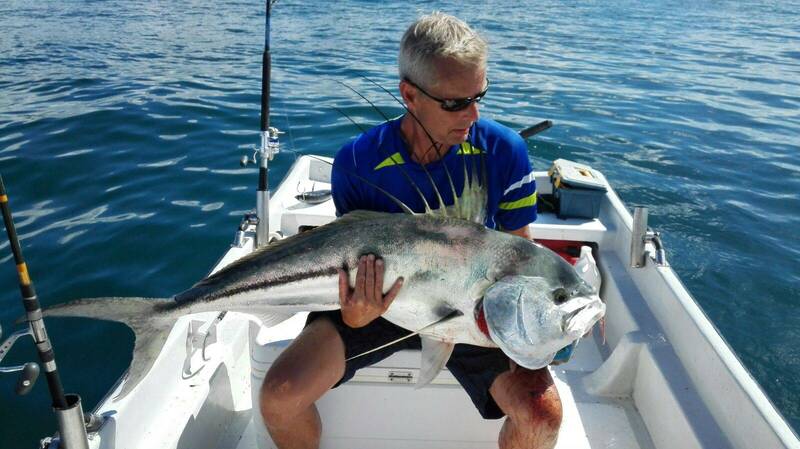 The Billfish bite is definitely heating up! 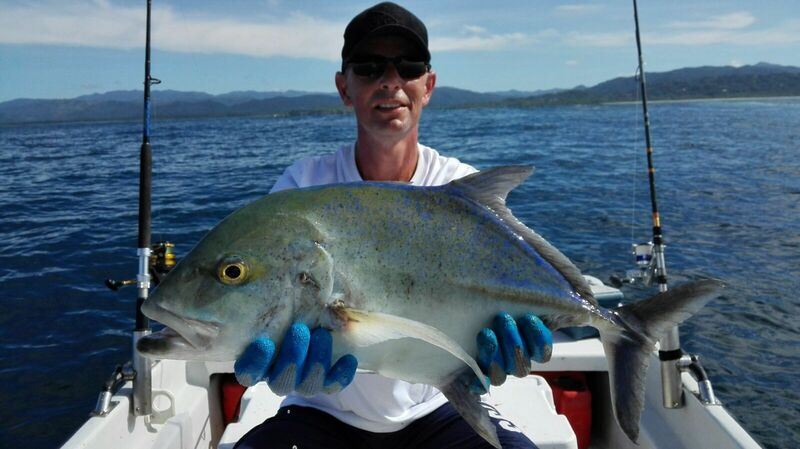 Steve booked the Wanderer for a day of fishing and I am pleased to report that they released a 150lbs. 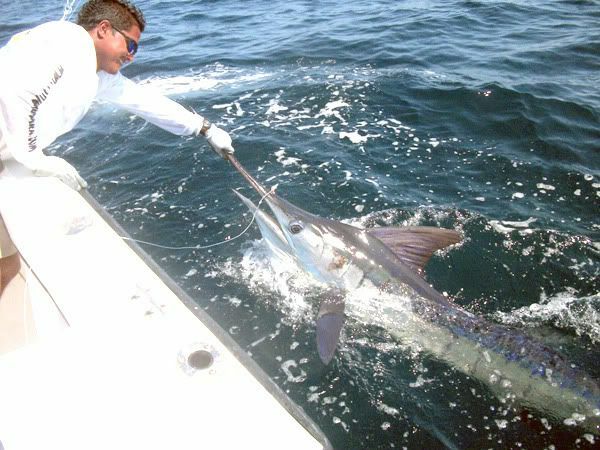 Stripe Marlin! 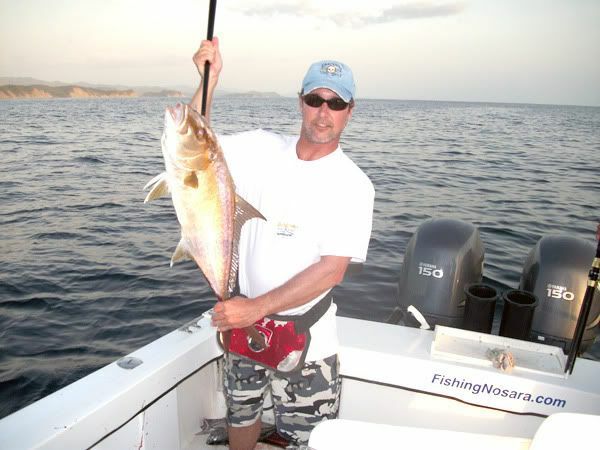 Also, over on the Explorer client Dean Ricci caught two Amberjack and two white tunas, all weighing between 15-20lbs. 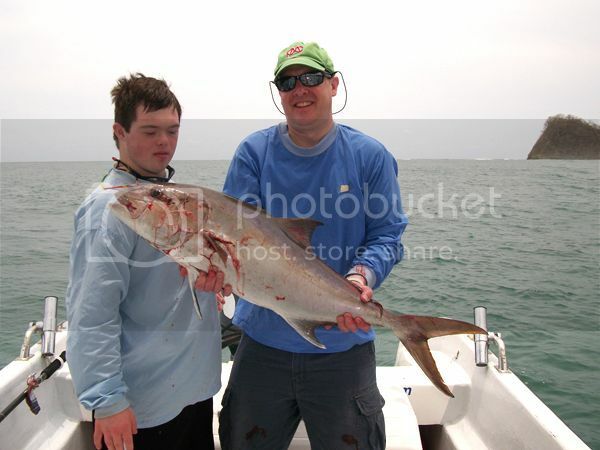 After this early morning trip, Captain David was joined by client Jacob Owen for an afternoon half-day. 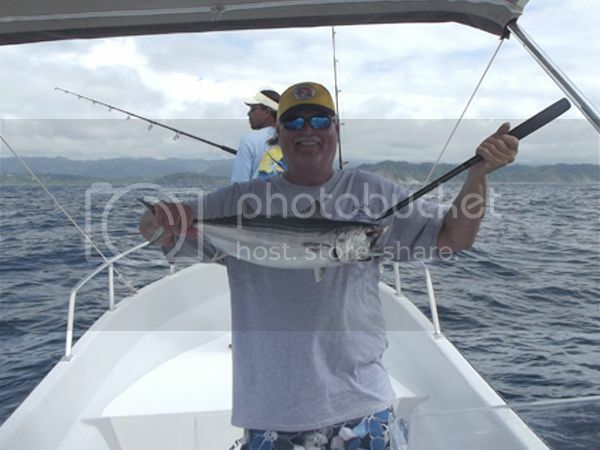 He caught a macarella and a white tuna. 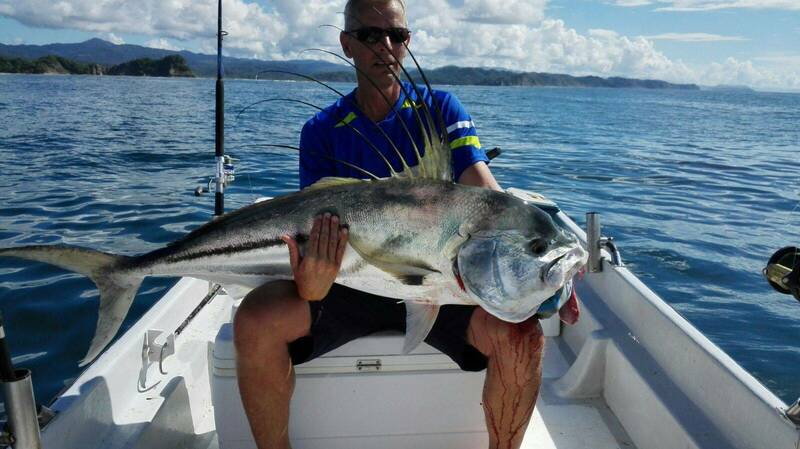 The big fish are starting to rear their heads, so what are you waiting for? Get down to Nosara soon!